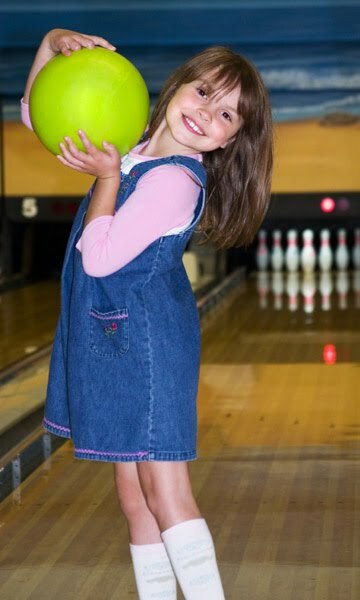 Pins for Pets- fun bowling fundraiser for DCHS on December 6! -a chance to win great prizes! Those with the three highest sponsorships at each location and the top bowlers in each age group will win prizes! The kid who raises the most overall money in sponsorships will win a Nintendo Wii. All proceeds go directly to helping the many homeless animals at Dane County Humane Society. The event will take place from 12:00pm-3:00pm. Registration is due Monday, November 23, 2009 Tuesday, December 1, 2009 so make sure you sign up ASAP! To register contact Cory Neeley at 608) 838-0413 ext. 118 or cneeley@giveshelter.org . 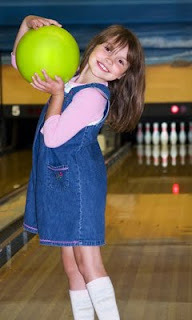 Click here for more information, to download a pledge sheet, and for participating bowling centers. Additional small flour for dusting. Madison, WI, October 17, 2009 -- When Tami Lewis, the owner of Gotta Go Out, LLC, wanted a way to celebrate her local pet sitting company's anniversary and give back to the Madison area pet community, she decided to participate in a national pet goods/fund raiser called Wishbones for Pets. What she didn't know was which local adoption or rescue group to help. Then she met Tony. Tony is a whippet mix that was being fostered by her clients Lauren and Michael Wojtasiak. He had come from an overflowing shelter in Illinois. "We found out that he was heartworm positive before he came and that the poor guy had been attacked by dogs before making his way to us", says Lauren. Madison Mutts spent money treating Tony's heartworms, but it was well worth it for Tony. After some basic training, medical care, and a good foster home with Michael and Lauren, he turned out to be the perfect family dog. Tony was adopted by a wonderful mom and her two sons and they have reported that he has brought such joy to their lives. As a pet sitter who loves all pets, Tony stole Tami's heart and she decided that Madison Mutts would be the rescue group she wanted to help by hosting the Wishbones for Pets program in Madison. Wishbones for Pets began in 2004 by Janet Depathy, a professional pet sitter in Plymouth, MA. It is the first pet sitter related charity open to all professional pet sitters in North America, and runs annually from mid-October through the week after Thanksgiving. The pet sitter asks local businesses to sponsor drop off bins for pet goods donations or coin jars in their store or office. Since 2004, hundreds of pet sitters across the United States and Canada have participated in the program. Madison Mutts is a 501(c)(3) organization that relies on volunteers and donations. Every donation helps them continue their much needed work. The Wishbones for Pets program runs until November 29th and the following businesses are sponsoring donation bins for dog goods or coin jars for cash donations. 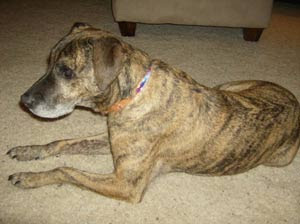 For more information about the work of Madison Mutts, visit www.madisonmutts.org. To see a list of local drop locations, to sponsor a bin or coin jar, or to get more information on Gotta Go Out's hosted Wishbone for Pets drive in Madison, visit http://www.ggout.com/. We cater to both dogs and cats, but we see a lot more dogs. 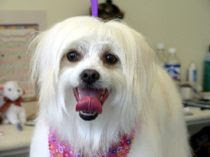 We offer trendy or traditional pet grooming with a gentle touch. We will soon be offering touches of color or the bling of Swarovski crystals to your pet. We use spa line products & give blueberry facials and paw treatments. We also offer beautiful & unique pet photography at the location of your choice. And introducing "Spoiled Rotten Rover", a small line of unique gifts for for dogs & the humans who love them. We are proud to carry Fido-Vite, a natural food supplement to help keep your dog healthy from the inside out. I have had a love affair with dogs since I was a little girl. Unfortunately , allergies kept me from owning a dog for many years. Thankfully, I out grew those allergies. I had gone to school for commercial art & photography in the 70"s. I became a groomer 19 years ago in Illinois. After 12 years there, I moved back to Wisconsin & eventually to Cambridge where I found the perfect little spot, right on Main St. to open Rover Makeovers. 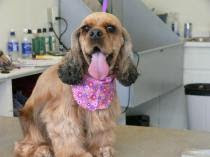 How are you different from other groomers in the Madison area? I am different because I understand dogs & their behavior. They seem to know right from the start that I am someone they can trust. I keep it calm by not having a shop full of barking unhappy dogs. They are rarely kenneled & wait by the front door or in the front window on a bed for their "taxi" to pick them up. We are not a "daycare". It is rare that a dog has to spend the whole day in our shop. Most are picked up when they are finished unless requested by the owner to pick up after work. I also am pretty good at what I do & will suggest for you a stye that I think would make your dog look best. Not to mention, I have the very best homemade doggie jerky around! Everyone gets a reward after their grooming! Being able to spend the day with various dogs and "sculpt" them in to works of living art. How can customers contact you for more information or with questions?